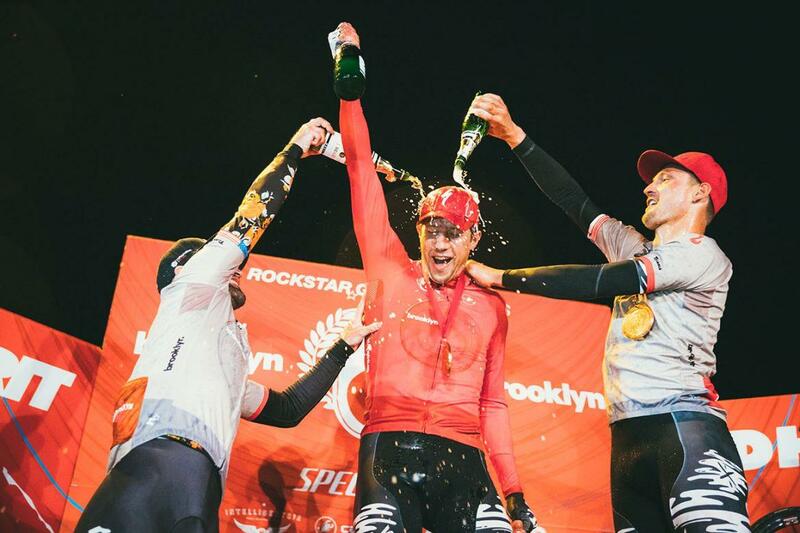 Interview with Colin Strickland, 4 time winner of red hook crit. So I wanted to ask you about how you got into cycling and when did you start riding the bike. Was it at a young age or college, or how did it even start for you, the love for the bike? Well for me I began cycling at a young age out on our farm in Johnson City, Texas 30 miles west of Austin just as a means of having fun with my brothers and sisters. We would ride up and down the dirt roads and all around or land. And then I moved to Austin when I was about four years old. And as I went through school it was always just a means of having fun, riding around the neighborhood. And quickly, as I grew, it kind of developed into a means of transportation. What bike did you have? Back then I had a BMX bike. Something really hearty that I didn't maintain at all, that I could just throw around and it would just keep rolling. So that kept me entertained and I would go visit friends off Enfield Road. Ride from Barton Hills across to West Austin, which is about, oh you know, a five or six mile ride, typically on the neighborhood roads and sidewalks. And it just was a thing I did almost every day. Now it definitely is not training. Then I picked up my first road bike at the end of high school and I moved to Portland to go to college at Lewis & Clark College and that's an extremely cycling-friendly city. So I used my road bike as a means to get to downtown from our campus which was about seven miles outside downtown. Gorgeous infrastructure there. Beautiful riding. It was really a joy to ride there. Still not using it for training, per se. Just using it as a means of transportation but really enjoying it. Enjoying going fast. And it wasn't until I moved back to Austin to finish college at UT Austin, The University of Texas, that I'm really commuting every day to school from South Austin all the way to The University of Texas campus, which is about seven or eight mile each way. And I was finding myself going really fast out of necessity. Not to be late to school. Not to be late to school, but also because I felt safer around automobiles going really fast than to just be pedaling along the side of the road getting past by a car. Was it a road bike? A fixed gear bike? At that point, I had gotten into building and converting old, vintage road bikes to single speed. Instead of replacing the components, I would just get a new wheelset and a free hub and, you know, with brakes, single speed with brakes. And i found it was just one gear, you know, usually a 52x16 or 52x17, which is a pretty stout gear. It was just a 'Go' gear, so I could try to be in the zone of efficiency for that gear which is, you know. mid 20's [mph], where you're spinning a good cadence. And that's how I really developed a love for, you know, going fast. And you did it five times times a week? When you were growing up, did hear about Lance and racing and did you even think about it...? I was blissfully unaware, I guess. I just wasn't exposed to it. My parents were both, you know, physically active but they weren't cyclists, per se. So, I wasn't really exposed to it, I didn't have any direct connection to bicycle racing. Just a luck of the draw. When some people knew a family friend who was passionate about it and maybe pulled them into it at a young age--I just didn't have that particular influence. So, yeah, I was just kind of going in parallel to actually racing, just training myself. Going to school and riding in the evenings every now and then. And then, near the end of college, at that point I was really into riding fixed gear. It was kind of a fad at the time and really fun and really challenging it was kind of a cultural phenomenon going on in the U.S. at that point. It was something I enjoyed doing, building these little art pieces in the city. Do you still have those bikes? I do not. If I'm not using something then I try to move it out of my life. I've had many things in my life, inanimate objects. Do you still build those bikes? No. Around that same time, before I started racing, I got passionate about building motorcycles. So I did about six or seven Ducati and Triumph rebuild projects which was extremely time consuming. And that was really taking all my creative tinkering energy. How did you get exposed to racing? What happened? The first the first race that I did was put on by this shop on the east side of Austin called Fast Folks, which is a fixed-gear urban cyclist-centered shop. And it was in conjunction with the North American Handmade Bicycle Show which was in Austin that year, I believe it was 2010. And they put on what's called an alley cat race which is an unsanctioned night race on city streets. There were five checkpoints around Austin. The most efficient thing was was a giant loop all the way from east Austin, up to Anderson. All the way through traffic lights? Yeah, there's no route. You just kind of create your own route based on your knowledge of the city and your knowledge of roads. You check at six different places up to Steck, Mesa, down to Red Bud Island, then back to South Congress. Was it like Race Around Austin but shorter? Yes. Yes. I think it was approximately 40 miles or so. Yeah, I won that race which I guess is my first race. Did you win on a single speed? I could actually win stuff and it was really exhilarating and fun and there's a party afterwards. Yeah, I think that's what triggered this connection and, oh wow, racing is extremely fun. And I'm pretty good at it. So, from that point I kind of began...It's always a process when you get into road racing. You have so much to learn and so much strategy. No, no triathlons. Never done a triathlon. I went straight into road racing. In the meantime, I had been riding with quite a few friends, who at the time we decided to start a team. I'd been riding fixed gear. What was the team called? Named after the Native American tribe that dominated the planes of Texas, the horse culture. So, it seemed appropriate. Who are the guys? Are they still racing? That's awesome because you never hear Cat 5's starting their own team. You usually join an existing Cat 5 social club and you kind of like from there....But yeah, that's pretty cool. Every one of you were Cat 5? Yeah, so just kicked around the Cat 5 and worked my way up. I guess that was the year I graduated from college. I guess I was 25, when I started racing bikes. Was that the same team? The Tour of Fredricksburg. Yes it was. Fredricksburg Stage Race I guess it was called. The last day I I had left my helmet on top of the car when I left my house for the road race. Drove all the way to Fredericksburg and realized I had no helmet. So, I frantically borrowed a friend's time trial helmet right before the race and I missed the start. How long did you have to bridge to the guys? At least a minute and a half but it took quite a while with that helmet. It was one of the old, pointy Giro's. I won that race. Was it a Cat 5? Cat 4? I think it was Cat 4/5. I got to wear a time trial race helmet for a road race which is kind of humiliating. So, after Comanche what happened next? What was the next progression? Well, next I was spending a lot of time racing at the Driveway and getting a feel for that. And I teamed up with a few local guys. Adrian Flores was kind of the fastest Cat three at the time. And also Michael Sheehan was ripping legs off at that point. Michael was at that point also a Cat 3? Yeah, he was. So, we all teamed up. Adrian Floyd recruited us. And we teamed up with him and we joined Christopher Stanton who still runs the Ghisallo Foundation. And he was running a team at the time called Credo Racing which turned into Ghisallo. And so the three of us race for him. We raced together, had a lot of fun in the Cat 3's. And then eventually we all switched over to Jack and Adams Team, which was Alchemy Racing. Jack and Adams, Alchemy Bicycles, was the sponsors. They did. But we all got sweet Alchemy's at the time. So, we were riding nice bikes at that point. We had a lot of fun doing that. From there, I spent a year racing with Adrian on the Division One Team. That was for Jack and Adams. This was after Jack and Adams. But during Jack and Adams I did my first Red Hook out in Brooklyn. I just heard about it from the promoter, who was actually at very first alley cat race I did. Did you do any other fixed gear races? There were no other fixed...Ohh, there were alley cats but those are...It's a lot of luck and chance. It's such a loosely organized event. It could go either way. You have to know the city. So, I was just focusing on road racing at this point. But the Red Hood is an organized race with a course and stop lights. So, I did my first Red Hook in 2010. And it was a blast. But at this point it wasn't as big yet. It was just starting. No. I think it was the third or fourth year. Maybe fifith year, actually. Actually, I think the fifth year. It was well-organized and it was becoming a medium-sized event. So, it was allot of fun. But I kind of put that on the shelf and focused on road racing. Simultaneously, you know, starting my career as an environmental consultant. How did you do in that race? You got fifth. That's a pretty good result. Yeah, that's not bad. So, yeah, then I just worked team after team. Eventually, three years ago, joined Elbows Racing which was, you know, a huge move forward for me because we were kind of focusing on the National, the Pro road calendar races which was huge learning experience. Getting to race against allot of the best guys in the country is awesome. You guys target specific races for Elbowz? We did. Yeah, we were always an underdog. We had a smaller budget. We were a smaller program. We were kind of a team of all-rounders. We didn't have a specialized sprinter or climbers. We were all kind of opportunists. We had a ripping year in 2015 where we just had a run where everything kind of went right for a few months. So, it was a great experience. Which races did you guys start in? Let's see, I think we got six podiums at Northstar through Elite Nationals in the summer. Was kind of our best chain of results. We got second and third at National Road Race. Kevin Gerkins got second and I got third. I got second in a stage at Northstar that year and Michael Sheehan got second in a stage at Northstar. So that was a year where everything was going, a lot of love in cycling. That was just a really great year with Elbowz. So, from that, how did you decide to go back to Red Hook? So, that was with Aventon. That was with Aventon, yeah. And I was amazed by how the scene continued to grow. I was a little worried that it would have declined as the fixed gear popularity in the US subculture kind of dwindled. I thought Red Hook would go the same way but it had grown kind of independent of that. And now it has its own identity as a kind of a mix. It has a very pure-sport feel to it that appeals across a kind of different demographic groups. Pure racers can be just as enthusiastic as the young kids just getting into cycling through fixed gears because it's the simplest format and the cheapest bike you can build. But anyways, I had a great time over in Milan and I won that race. Did you stay with Aventon the next year? I did not. 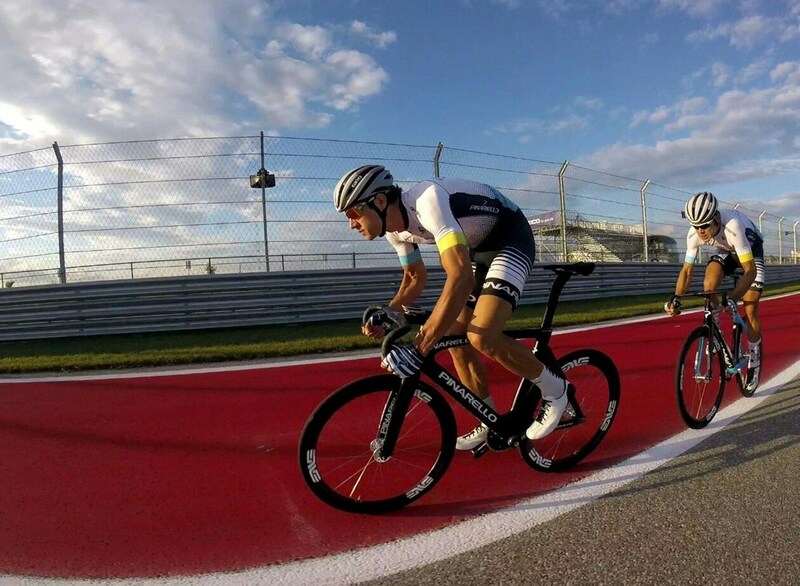 I was racing with Specialized on Elbowz so I was contacted by Specialized to race their two-man team in 2016. You got teamed up with Aldo. I got teamed up with Aldo. How did you guys find each other? Was it organized through Specialized? Because you're from different countries. Did you guys meet before the race? Went on some rides together or...? Yeah, but we hit it off really well and he's just such an experienced racer and just an easy-going guy. It was a lot of fun. And we kind of synched up and we didn't really even have to communicate that much before or after that race. Did you guys talk about, like, what you guys were going to do during the race with any strategy? Yeah, we definitely did. I mean, qualifying was a really intense experience. Then, the whole format where they record your fastest lap. So, you do this unnaturally fast lap on a course that you're not familiar with yet. Are you trying to go behind somebody first. Correct. We typically would just try to be at the front for when the...it's kind of everybody's jockeying for the first five kind of neutral laps. But everybody still vying for position going into the final lap or the first hot lap, as it were. And usually that first hot lap, that's when the best times were recorded? That's when we would target it because there would be riders doing a slow lap on the course potentially. So, we would try to go when the course was clear, before anybody did a fast lap and was recovering. We wanted to go before there were anybody was doing recovery laps. So, in theory, that's the first one I'm going flee. How many hot laps do you have after that? You can do as many as you wanted but, you know, it's about a two minute effort. Yeah, so the turns, you don't go that fast in the race. It was very exciting, chewed up. Always really sketchy but it worked out. Is there a difference in the way you would take turns on the fixed gear versus geared bike? You still have a budget, you know. You're still dealing with your traction budget which is always, you know....Breaking is a withdrawal. Acceleration is a withdrawal. And turning. These are all taxing your budget of traction. So, if you do too many at once, you loose traction. So, it's a balance to keep the bike up. You know, if you're going a certain speed and you're leaning it over a certain amount, if you start either decelerating, breaking, or accelerating you might lose traction. So, it's, you know, it just depends on the situation. The scenario. So, that first race with Aldo, what was your strategy? You know, because he's more of a sprinter, right? Yeah, he's a sprinter. I mean, our strategy was really to be represented in every move and if I recall. Correct. It is hard to move up. The race is more kind of full gas the whole time. It has it has different dynamic It's a lot more linear because the course is so technical the race quickly becomes strung out. And the turns are, at most. two there's two lines through these hairpin turns. And in Brooklyn there were 3 hairpins. So, that's not a lot of space. So, a field of a hundred is going to be very long going through these really sinuous sections. It still has the dynamics of a typical geared race in that, you know, when the pace high, moving up is extremely difficult. But when the pace slows, that's when everybody has the opportunity to kind of reorganize and move up if you want. Or attack. So, yeah our main goal is ride in the front and be aware....If anything goes, be represented. And also, we weren't afraid to, you know, to attack solo, because of the nature of the course. The nature of the bike. It's a lot more like a time trial because everybody is getting taxed because everybody's peddling the entire race. So, if you're more of a time trialist, you don't feel it as much. If you're a sprinter who kind of makes their living on, you know, recovery and positioning, and maintaining perfect position and stop saving energy, it might not suit you that well because you're being taxed the entire race by constantly having to pedal. Everybody's slowly wearing down. Some people wear down faster than others just based on their physiology. 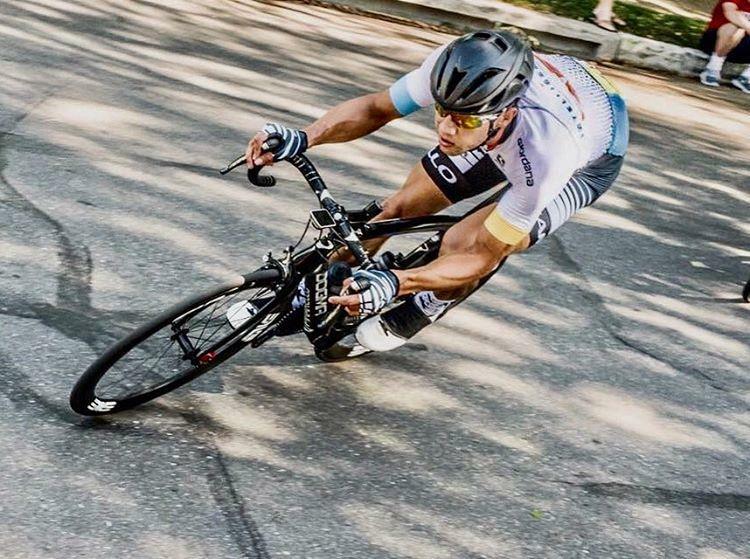 Even though they're an excellent geared criterium racer, they might not have the same type of motor to just wear themselves down a little bit a little bit. Yeah. It was very close for a while. I was aware of that. So I was just staying on the gas, you know. The elastic was just stretching and eventually he asked for help from somebody else because obviously you don't want to waste your own energy if you can recruit some other people. Then, the field slowed for a minute and that's when I was able to just stay on the gas and open up a bigger gap. And then Aldo took control. And that was just perfect execution and team work. He's a very intimidating person to have on your wheel if you're trying to chase somebody down. Because he has massive amounts of power. Well, with Specialized we stayed at some nice places. There were no other racers in the same hotel we were at in Barcelona. So, it was a pretty wild experience. It's a little bit lonely at times just because there's a lot of logistics. If we were doing host-housing or something it would be a different experience. What's the race preparation like? You arrived a couple days before? A week before? That's a good place to start. So we would arrive about two days before. And Aldo and I, we would usually have some kind of press shoot or something to show off our new kits and our new bikes. We would have that the day before the race. And do a bit of a spin to get our legs warmed up, off the plane. Typically, you know, the shop. There's always a good pre-party, it's kind a part of the event. Red Hook is organizing it? Yeah, you mingle with everybody and, you know, you reunite with all your friends from the circle. Is this like the day before? A couple days before? That's the day before. Typically, the night before there's an event. Balance of how many wines and beers you have. Is there alcohol at that event? Yes. Yes there are. Not too much. I get to race the next day. Flew all the way there to do all the race. So, maybe one or two. So, the morning of, typically, we have a solid breakfast that sets you up. And then, in the past, there was qualifying as such that there is kind of one main you do these qualifying heats. So, the afternoon is kind of long. We go to the race and there are already a huge amount of people there, typically, with a tent set up and a lot of excitement kind of builds. So, we would warm up, do our qualifying, cool down. And then we'd have about four hours to kill before the main event from 4pm to 5pm. So, we would typically go back to the hotel and get in a quick nap which is difficult sometimes since you are excited at that point. Yeah, then show up for the race, catch the end of women's race and get warmed up and line up. And it's usually nighttime by that time and there is a ton of people around. And yeah, it's just insanely exhilarating, it really is. I would compare it to...the only thing I've experienced, kinda like Tulsa. But people are even more interested in the race itself. So, yeah it's an extremely exhilarating race to participate in. 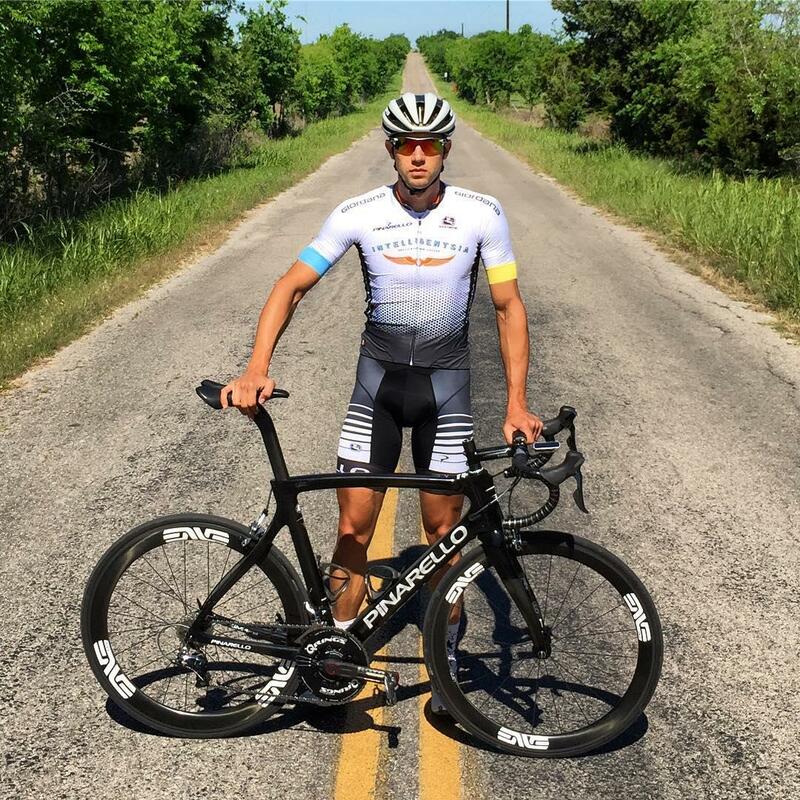 Okay Colin, so I guess when you started when you were really young from the BMX bike, then you went into building your own custom, fixed gear bikes and now that you know Elbowz and fixed gear Team Specialized, obviously the equipment gets better. So, how would you compare the equipment from last year to the equipment this year? Also, your new team. Can you talk about that? I'd love to. So, I'm a bit of a gearhead. I have just always had a passion for understanding the equipment associated with, you know, a sport or hobby. It was one of my motivating factors for motorcycle projects and building motorcycles. I love equipment. I love nice equipment and it just kind of one of those things that gets me going; well-engineered and well-produced equipment, which is one of my passions. So, it was incredible to be on a team that was so well-equipped as Elbowz. We just had consistent, well-functioning, you know, good race equipment across the board for road racing. And then last year, with Specialized, as well. So, it was really familiar to be on the same...it was a similar bike that I was raising, the Allez Sprint. It was an aluminum bike and they'd made some modifications to it. It was a different breed of aluminum bike. It's alot lighter than the usual aluminum bikes. It's not the lightest. But for an aluminum it was pretty standard. They had some changes to where they positioned the welds to add some more structural stiffness to it. 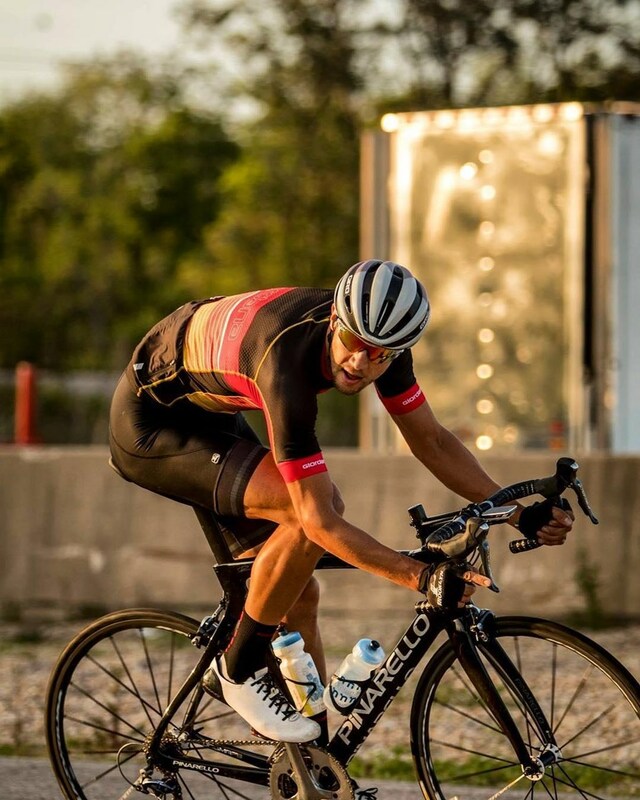 It was essentially their in-line, across the board, all of the Specialized gear, outfitted bar and stem, wheels....So, this year I broke off and have formed my own team to just have a little more freedom all over, all around with the race schedule and what style of racing I want to do. I really enjoy gravel. I enjoy all kinds of racing, really. Everything from gravel to cyclo-cross to road to fixed-gear criteriums, So, I to pick a focus this year, I would say it's a fixed-gear criterium and gravel--endurance gravel racing--which are not really the most obvious choices but they are two of the things I enjoy the most because long endurance battles and also the short, all-out bursts. Who is on the team and what is the team's name? So, was it a dream come true to get them? It really is back to my original love affair with cycling and components. It started with Phil Wood and has gone full-circle. So, they'll be supplying a hub across all the bikes. For road and for the fixed gear race bikes as well as gravel. Talking about Roter, I saw you last week, or even this week, on the new Q rings. How do you like those? I felt a pretty seamless transition into them. I'm riding the new the Rotor Q rings, which are the oval rings, which minimize the dead spots and kind of provide more resistance where you have more power. And it's felt pretty natural for me. I was expecting a bit of a transition period. But I've done one race and one hard ride and it feels amazing so far. As well as, I'm riding the 2N power system on my road bike which provides output measurement for both cranks so you can, real-time, view your balance. And that's something that I have always wanted to work on. I've always had a suspicion that one leg is harder than the other and now it's something in training that I can tune to just be as efficient as possible. Have you seen improvement in cadence or any changes in cadence? Well, then see, cadence is something that I try to vary throughout my rides and my racing. Sometimes I purposely ride a higher cadence. In training, especially, I'll ride as low a cadence as possible for long periods of time to build more muscle mass. How low would you ride? Uhm, 60, 70... Uhm is kind of what I feel...it's not efficient but it's a way that you build muscle. It's kind of like doing a leg press, potentially. But I've really missed training with power. 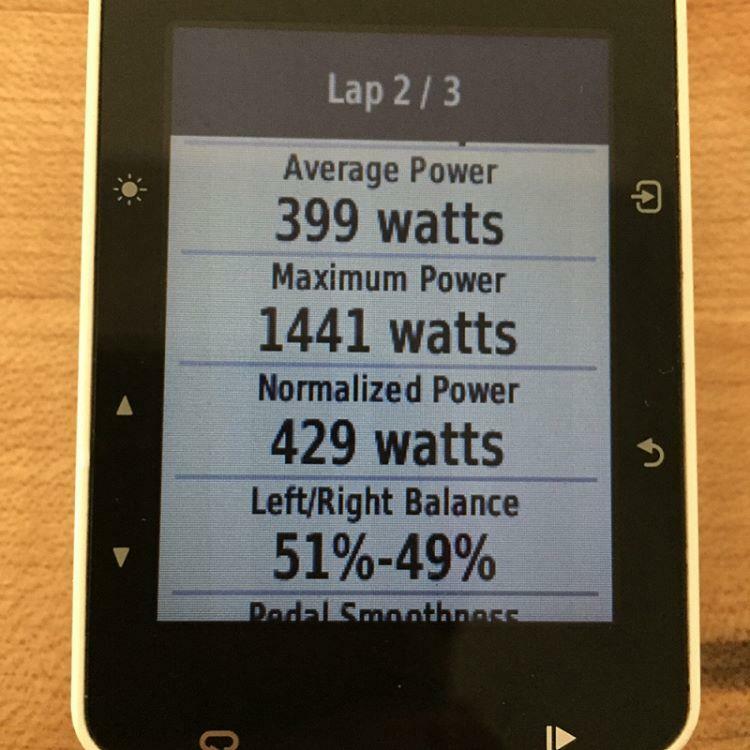 I haven't had a power meter since December. Other than that I train mostly by feel, you know, the feedback I get from my body when I feel I do some intensity and when I feel like I just need to recover. But a power meter is one piece of equipment for training that I really miss that I really do value. And it's one of the things that pushes me to grow stronger on the bike. Do you use it during training or you analyze your data after? I use it during training. For me it's a great metric and a great rabbit to chase on long training rides. Kind of, have numbers and try to hit those numbers. You mostly use it when you go solo? Yeah, it could be a little annoying for people. Well, you see Chris Froome going up, you know, L'Alpe D'Huez, looking down at his stem and just probably looking at the power. 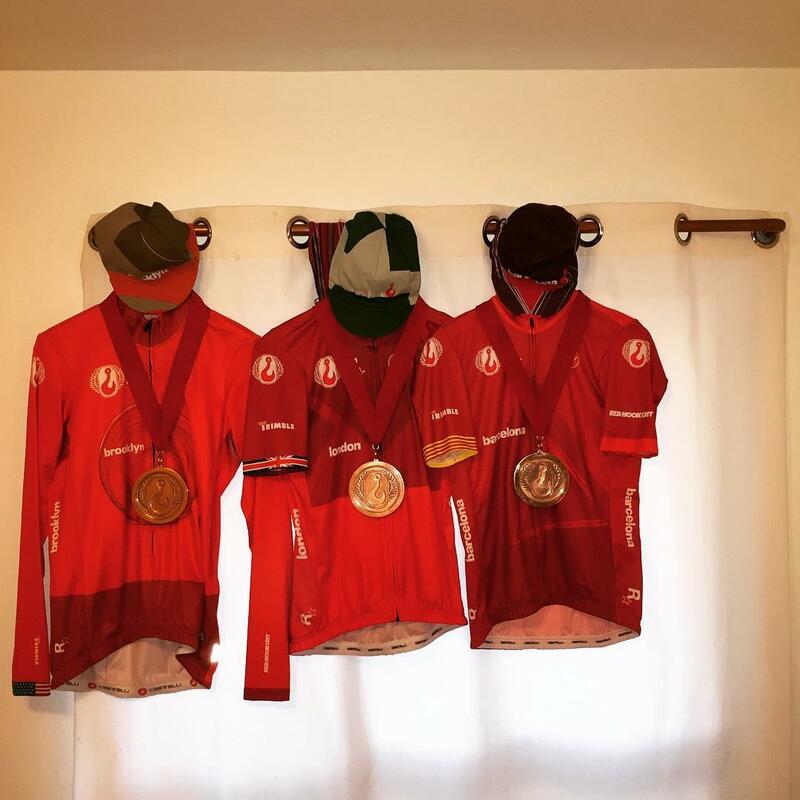 I've fallen into a different field of cycling than the Pro Tour guys, so I have a little more freedom with how I approach it which is a blessing and a curse. And it comes with, I think, with the age in which I entered into bike racing, you know. I kind of missed the cut-off for the Pro Tour trajectory but that has allowed me to kind of create or just participate in a whol other realm of cycling that people didn't really give proper consideration to before which is also kind of developed concurrently with my, you know, coming into cycling. So, I'm really fortunate to be in competition. I think in the United States, criteriums are definitely bigger than in Europe. Europe it's mostly about Grand Tours. And I think in the United States we have Daniel Holloway and you. And I think that's something people are more looking towards or at least it's as important compared to Europe were there, from my interview with Kristian House, he said over there it's mostly exhibition races where people just come to watch the Grand Tour riders and it's not really serious. Where the climber leads out the GC, leads out the sprinter, and the miraculous three-man escape with 5K (laughs). Yeah it's an interesting scene in the United States. I still feel that cycling hasn't quite taken the groove that it needs to in order to continue to grow but we're just figuring out the code and how to crack the mainstream. I don't think it's quite there yet. I think Red Hook is doing a pretty good job at that. And that's what I would argue is that, really, I don't know? Maybe people just have to be 'okay'. It doesn't help the sport to be a purist and be stuck in one idea of what is true bike racing. Bike racing is people getting out and suffering, you know? It's really creating what I like to describe as kind of a drama. Watching a race, a really engaging race, is one....You know, that's the way I see women's racing. It doesn't matter if they're going a few miles an hour slower. If it's exciting and they're risking everything, you know, attacking the final K and really suffering it just as exciting as any men's race even if though the men's race might be a few miles an hour faster. It's really about the show. I heard there's a push to put maybe cameras and transmit data in real-time for people to watch online or on televisions in the Grand Tours and also the criteriums. I think that would be pretty exciting. Kind of like what they have in NASCAR and Formula 1. I think that would be awesome. I mean, again, it's a show. So, how do you produce a better product and the more exciting thing to watch and to consume. 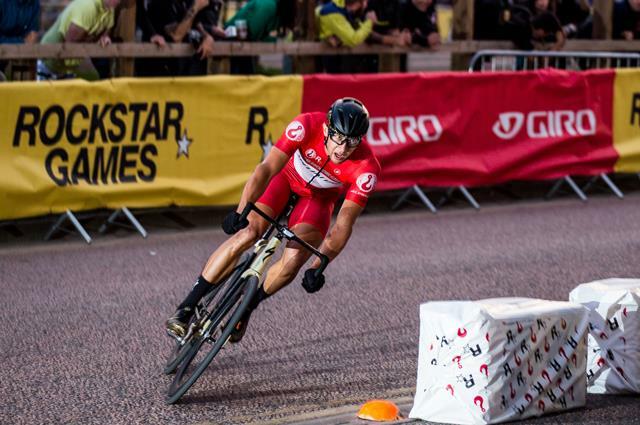 That's how you grow the sport, is you just get more people interested, who otherwise would just not want to dive into the, you know, the strategy and the kind of heady nature of stage racing. It's not a very accessible format, the traditional Europe...it's a part of European culture, so they already have it ingrained in them. But in the US, where you're trying to win over new audiences, you have to get more creative with how to draw people in, what draws people in cycling? And in my opinion, it's a couple things; it's excitement, speed, crashes--that's part of it, the potential. And also suffering. The drama. Somebody risking it and maybe failing. And then somebody risking it and trying anything. So, it's really the human drama. I like to compare it to theater. If you can't make a good show, then no one will come to your show. So, if you don't have an exciting show, if the race isn't exciting, people aren't animating the race, nobody wants to watch that. I think that's why criteriums, for spectators at least in the United States, are a lot more popular than road races. Because, you know, shorter loops. You see the riders a lot more frequently. To go to at 8 in the morning to a race. And watch it go by maybe two or three times. So, in terms of growing the sport, that's what I see. You just have to zoom out. People who just focus in and zoom in to the sport to try to bring other people in as they zoom in, I don't believe that's the way to pull more audience in and make it more relevant in America. What, other than cycling, would you say you do to stay in fit condition? Have you always been athletically fit? Let's see, besides training on the bike, when I first got into cycling, I was on a routine of doing in 50 pushups a night for something like eight or ten years. Almost every night. So, I had a significant amount of upper body mass. Certainly too much for cycling and disproportionate. So, it's been a process of migrating body mass to the legs from, you know, my shoulders and arms, which is useful for real life but not so much for cycling. Yeah, I haven't been to a gym to lift weights in six years or so. I don't lift weights. I do a lot of projects around my house, rock work and stonework and building. So, I believe there's always hard work to be done. 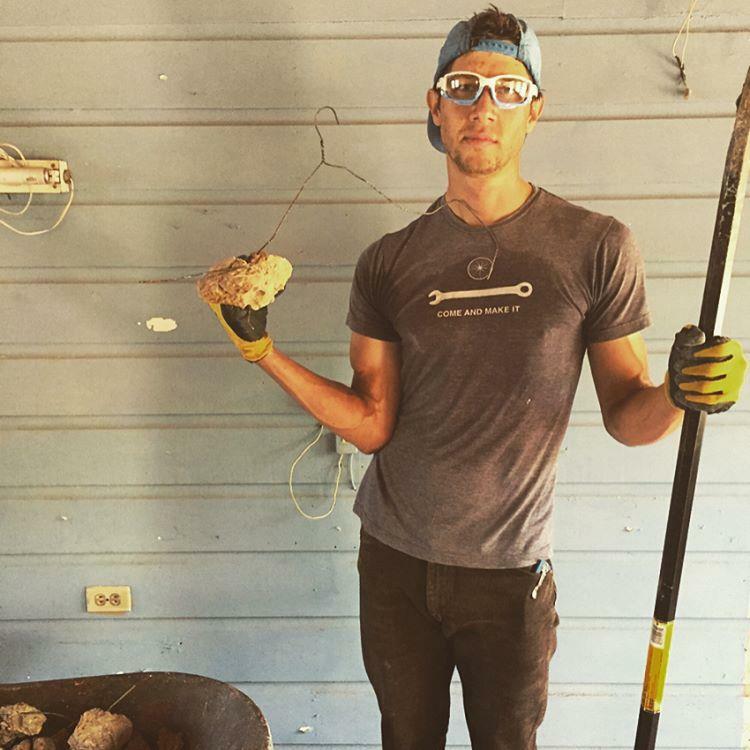 The other day, I went out to my friend's house in Lockhart and helped him bust up a slab of concrete and transport all the materials. So yeah, to me, I understand people going to gym but personally I would much prefer to go do some hard work. Trust me, you always know somebody who needs some work done. So, I just have a better sense of accomplishment after the day instead of just taking a piece of steel and moving up and down to actually, you know, create something or build something or break up something, destroy something. So, that's typically what I do is I work on my house or work on other people's houses. Yeah, I definitely have a lean build genetics but it's not something I focus on these days. I find I get enough cross training with daily life. I have other things in life that I do besides just cycling that, I think, complement it well.